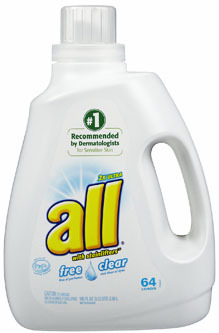 All Free and Clear is the #1 dermatologist recommended detergent for sensitive skin. Free of perfumes and clear of dyes. Laundering becomes a breeze with All Free and Clear laundry detergent.